Not sure how to drive traffic to your website with Instagram? Sick of reminding people to check out your #linkinbio? There are rumors out there, my friend. Lots and lots of rumors that Instagram DOESN'T drive traffic to your website. Thankfully, those rumors are 100% false. Otherwise I wouldn’t be writing and delivering this beautiful blog post to you, now would I? Since its release in 2016, Instagram Stories has shaken up the digital marketing scene. With each new feature, it’s given freelancers, brands, and influencers a powerful way to engage with their audience and grow their brands. Instagram Stories is the BEST way to get clicks and page views to your website from Instagram. Plus, I love experimenting with the latest features to see how I can use it to improve my monthly traffic and sales even more. 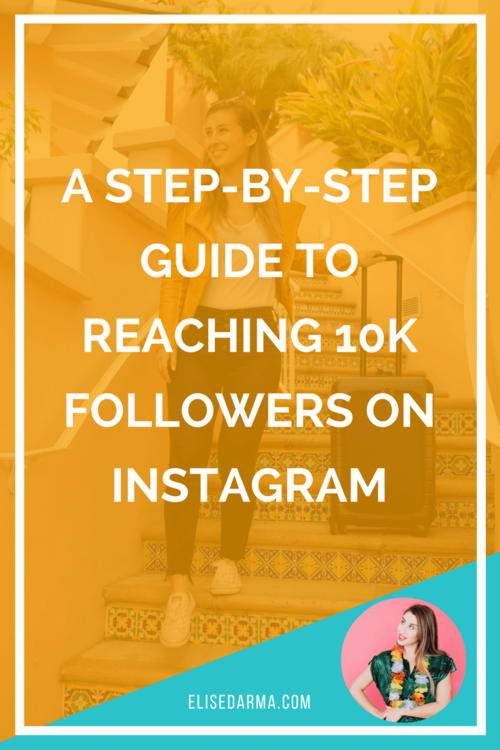 In this guide, I’ll break down some of my favorite tactics that will help your business get the traffic love it deserves – all from Instagram. Here are 6 ways you can generate insane amounts of traffic from your Instagram to your website. If you have more than 10K followers on Instagram and a business account, you can use the app’s powerful “swipe up” feature. It allows you to add a link to any of your Instagram Stories, making it the best way to drive traffic back to your website. Use photos, videos, GIFs and design to generate interest, and encourage people to swipe up! on your link. Don’t forget to add a visibly obvious call-to-action for your viewer to swipe up as the “See More” text that emerges at the bottom of the screen to indicate a link is attached to the Story is small and can easily go unnoticed. 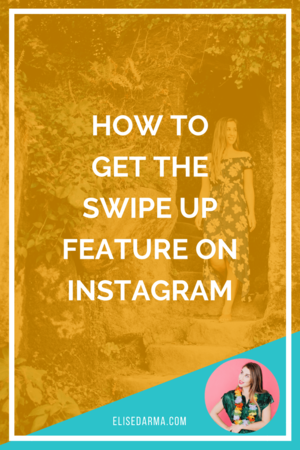 Bonus: Once you have the link feature, you can reach out to brands and help drive traffic from your Instagram Stories to THEIR websites for a fee or product exchange. Don’t have 10K yet? I’ve written a complete guide on how to grow your following and how to use the "swipe up" feature once you unlock it. Whenever I’m stumped about what to post or write about, I look at my DMs. It’s a great way to see what questions people have for me. I’ll then answer it and direct them to my blog, to my Instagram masterclass, or another relevant resource of mine. If I notice a lot of people asking the same thing, I’ll use the “swipe up” feature on my Instagram Story to share the post that answers my follower’s questions. Not getting tons of DMs to draw inspiration from? Use the question sticker on Instagram Stories and ask your audience what they need help with or what they’d like to know. Even if you don’t have a blog post answering their question, it can help point you in the direction of what you should write about next. Got a new blog post or product launch? If you want people to click through to your website, you need to create anticipation. One of my favorite ways to do this is with my blog articles. I like to let people know what’s coming next and when it’s live. You can use this tactic to create “mini blog posts” just on the Instagram platform, tutorials using your product, or to promote a new online course. By spreading out your posts like this, you create an engaging Story. It helps your audience understand HOW clicking your link will answer their questions or solve a problem. Highlights are one of Instagram’s most valuable features for businesses. It’s a way to save your hard work and continue showing off your blog posts and links... long after the 24-hour mark. With Instagram Story Highlights, you can group Stories together and feature them permanently on your profile. The feature appears directly underneath your bio, giving it a prime spot on your profile for potential new followers. So how can Highlights help boost traffic to your blog or website? You can use the feature to call attention to your newest products, online courses or latest blog post. Throw some up on your Stories, link it to the product they are talking about and create a Highlight. It's a double whammy to create profitable social proof and get your page views booming. But if you don’t have 10K followers for the “swipe up” feature, you can still use this tactic. Make the first Story of your Highlight a call-to-action asking your followers to click on the link in your bio. Next, create a few Stories that share more information about the products or the blog post. Wrap up this Highlight with yet another C-T-A to click the link in your bio. Have a new link in your bio to feature? You can delete the original Stories from your Highlight once you have a new set of Stories and a link to promote. Just don't forget to add in the new Stories to your Highlight after removing the old ones! Use a tool like Bit.ly to see which links are getting the most clicks and which Stories are getting the most love. You can take it a step further by hopping onto Google Analytics to track their journey from once they land onto your site to when they leave. By delving deep into your analytics, you’ll get a better understanding of what content resonates with your audience. It will help you create more engaging Stories, blog posts and products that you can bet your followers will love. If you don’t have Google Analytics, you can check your Instagram Stories insights. Under the Content tab in your Insights, you'll be able to view the number of impressions from your Stories posted in the previous 14 days. And if you saved the Story to one of your Highlights, you'll be able to swipe up on any given Story inside the Highlight to view the statistics generated for that Story to date. If your site isn’t optimized for mobile, all of your traffic-generating efforts won’t get you the results you want. I mean, Instagram is a MOBILE platform first and foremost, right? In case you were curious... here's my website on mobile! You don't want to invest time creating engaging Stories and growing your audience to 10K just to have people leave your site because of bad UX (user experience). Visit your website on your phone and double check that it's easy to navigate, quick to load and easy to read. Ready to Boost Your Business on Instagram Even MORE? Or just need general help in stepping up your IG game? Sign up for my FREE Instagram masterclass and learn my top three tactics that will help you gain 1,000 followers in 30 days!